In 2015, 77 percent of households owned a smartphone. Also in 2015, 55 percent of these smartphone owners made a transaction via a mobile banking app. Of that 55 percent using mobile banking, only 6 percent truly trust mobile banking for financial transactions. These statistics are confusing. If users don’t trust mobile deposit – why are they using mobile banking at all? Although perceived trust levels remain low, the use of mobile banking is on the rise – up from 33 percent in 2012 to 51 percent in 2016. The low levels of trust in financial transactions coincides with the lagging adoption of mobile deposit; account holders are using mobile banking for more “administrative” functions such as checking account balances, paying bank owned credit cards, and transferring funds between accounts. In addition to security concerns, however, there are a handful of other barriers that make mobile deposit slow to gain wide usage. Deposit Limits & Physical Check Holds – Mobile deposits often have lower limits than in-branch deposits, which can aggravate those who rarely receive physical checks to deposit in the first place. Overwhelming Complacent Consumer Mindset – Among consumers with mobile phones and bank accounts, 86 percent believed their banking needs were being met without mobile banking and 73 percent did not see any reason to use mobile banking at all. While users across all age groups may feel comfortable ordering food and transportation via phone, they’re still not comfortable trusting mobile technology with their money. 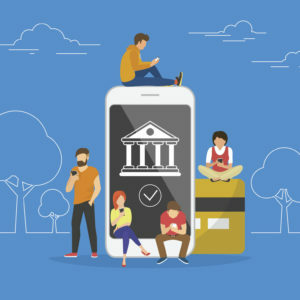 Thirty-five percent report adopting mobile banking because of the convenience factor, and this number is likely to rise in coming years as smartphone ownership grows and hyper-digital millennials age into more financial services. Keep in mind it also isn’t all bad news for mobile deposit. Despite lack of widespread popularity, account holders that leverage mobile banking do so with regularity. Of those who use mobile deposit, 54 percent do so at least once a month, and they often demand this capability from their financial institution. According to findings in the paper published by AlixPartners, of consumers who are “somewhat” or “more likely” to switch banks to get access to mobile features, 43 percent chose mobile deposit as the top feature, nearly twice the rankings of other mobile features. 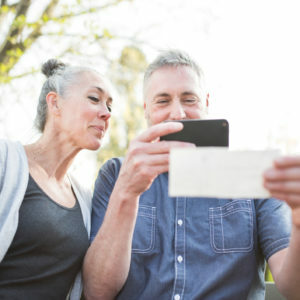 In addition, recent findings from FindABetterBank indicate that well over 50 percent of consumers under age 54 consider mobile deposit to be a “must have” or “nice to have” feature. There are many good reasons to make mobile deposit a priority for your institution. Start by following the money: According to a 2015 Federal Reserve report, mobile deposit costs 14 cents versus $3.75 in branch and 60 cents at an ATM. 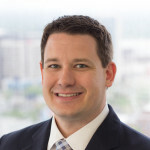 Institutions looking to grow mobile deposits and better market mobile banking should consider Harland Clarke’s turnkey and custom direct mail programs. 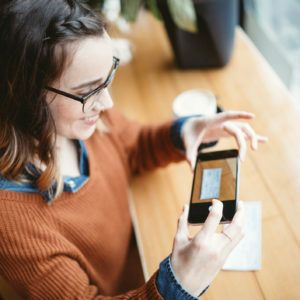 As part of these programs, financial institutions send to targeted account holders a personalized, low-value check to deposit using their mobile device. Account holders who want to try out mobile deposit will be encouraged to do so because of the extra incentive and they’ll be able to see how safe, secure and convenient it is. Once they try it, they’re sure to continue using it. This innovative type of marketing is an actionable way to take mobile deposit marketing to the next level, without any “heavy lifting” on the part of the institution.